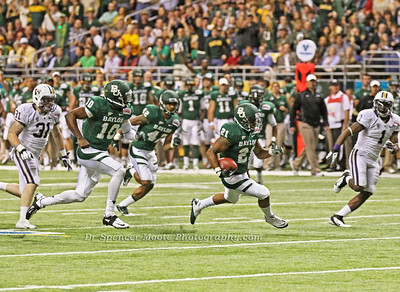 This next 5 shot sequence is of #21, Salubi running for a touchdown. 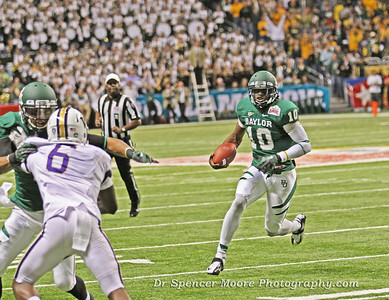 After giving the hand-off, RG III ran along side of him and ran some interference. 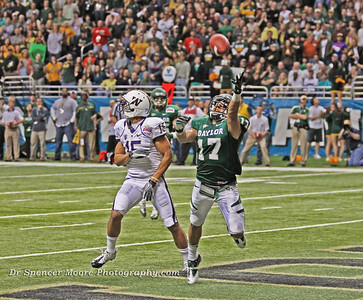 Right before Salubi reached the goal RG had to throw the final block that enabled the touchdown to be a success. 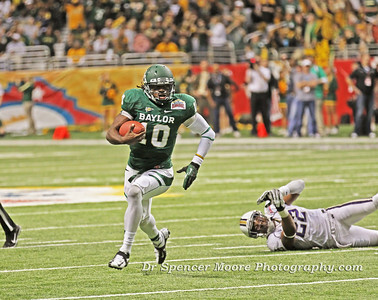 Is there anything RG can't do? 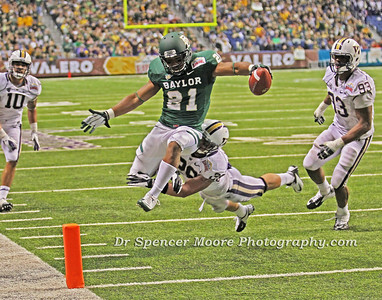 Here is the final leap for the touchdown. 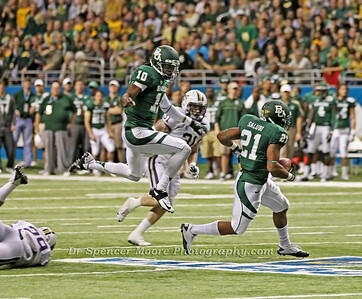 Baylor scores again. 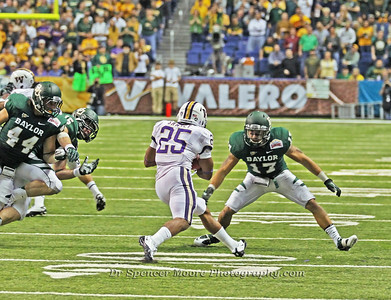 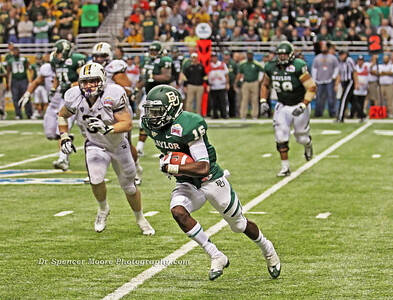 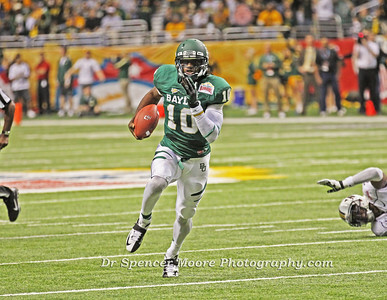 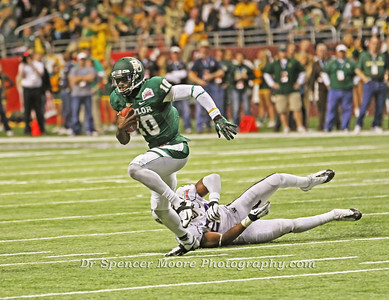 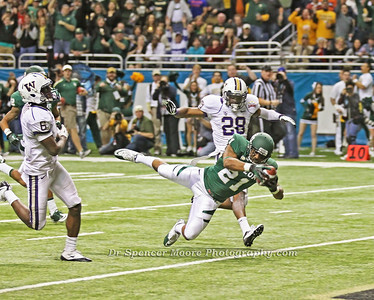 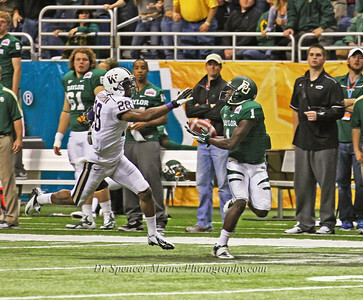 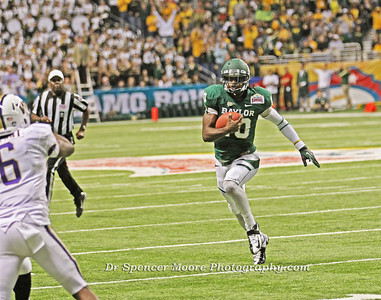 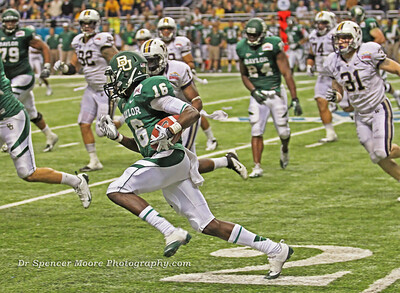 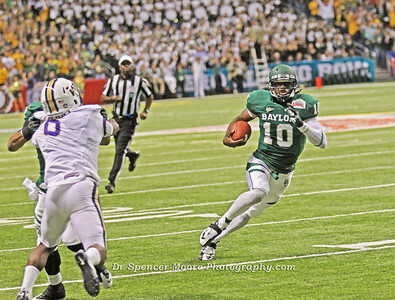 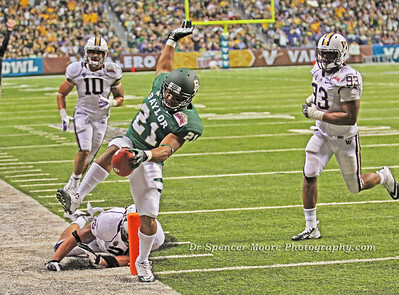 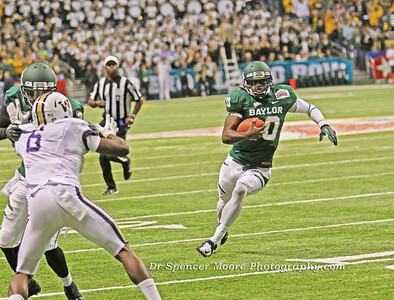 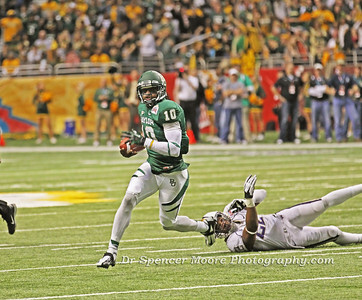 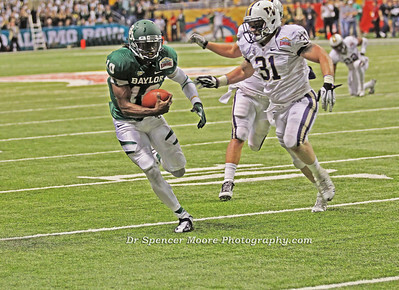 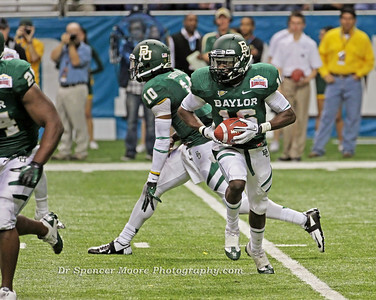 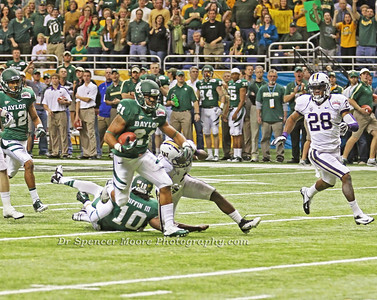 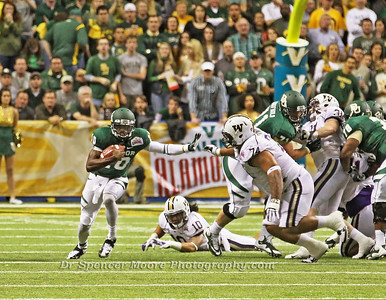 Baylor's safety, Mike Hicks almost intercepted this pass in Washington's end zone. 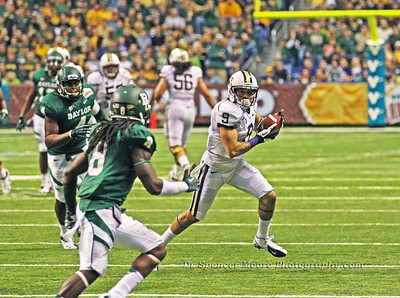 It's too bad the ball was over-thrown, otherwise he would have been halfway up the field before the Husky receiver would have realized Mike had the ball. 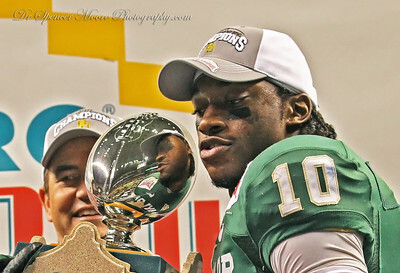 RG III and Coach Briles receiving the Alamo Bowl Trophy after the game. 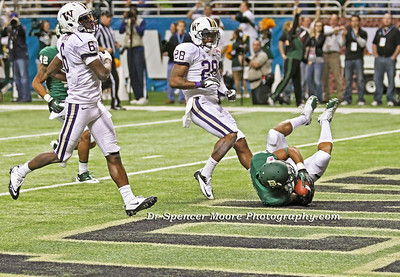 Late in the game Washington made this run for a touchdown and from everyone's view point there was no way it could have been ruled a touchdown. 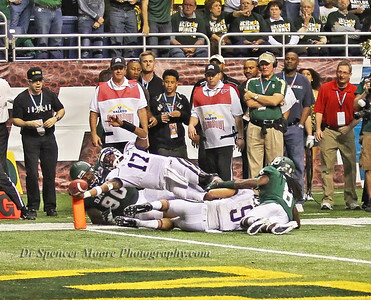 I looked at the back of the camera and there it was, a touchdown. 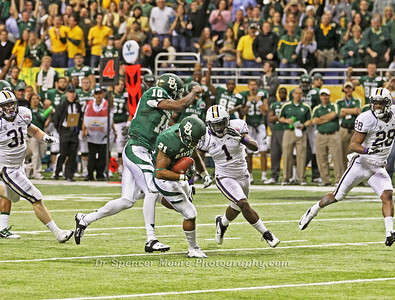 The official review affirmed the call and it stood as called. 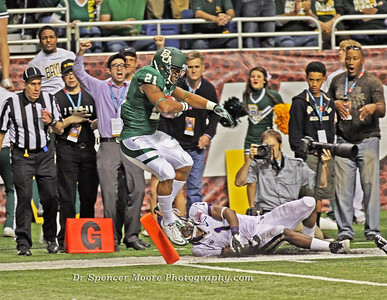 I had to agree.